Companies vary tremendously in how they strive to be customer centric. But most agree that customer-centricity is a key to achieving high customer satisfaction and company profits. Of course, a fabulous customer-centric mission statement does not guarantee high customer satisfaction. For example, Amazon is ranked 22 in customer experience ratings and is behind 13 supermarkets and traditional brick and mortar retailers such as Publix and Ace Hardware. One driving theme behind Delta’s success is customer-centricity. While it has deployed numerous customer-focus programs over the years, we think four sets of efforts underlie their efforts. First, Delta maintains a sharp focus on the most important drivers of a positive customer experience. Delta correctly assessed the important leverage points in their business were customer-facing positions (especially flight attendants and counter personnel) and on-time arrival. The point here is straightforward: define the jobs to be done, or find out what jobs the customer is hiring your company to do. This single insight can deliver the biggest gains in customer satisfaction. Second, Delta uses financial rewards to encourage customer-centricity. For example, Delta paid more than $1 billion in profit-sharing to employees for the past four years. This rewards all employees for performing well and encourages customer-facing positions to delight customers. Interestingly, the profit-sharing program was created with the support of Delta’s CEO Ed Bastian when he was CFO and the company was recovering from bankruptcy. Imagine the magnitude of the gamble, both for the company overall, and for a CFO in particular. Delta also pays flight attendants who work at least 100 hours per month for June, July and August a bonus of $1,000. This helps avoid delays and cancellations due to crew-related issues. These expenditures establish a win-win for Delta shareholders, employees, and customers. Third, Delta implements cross-company cultural change programs. We find it especially interesting that this initiative was initially led by Tim Mapes, then the VP of Marketing and is now Delta’s CMO. What an ingenious way to connect employees with customers! Marketing is the home for essential insights into what creates a positive customer experience. It also leads in competency for creating compelling message and conveying them to target audiences—in this case, Delta employees. Delta has a tool box full of cultural message reinforcers. For example, they give a “Rules of the Road” booklet to every employee. It dates back to 2007 and emphasizes empathy for customers and humility. Delta also applies their values to real-time, challenging situations, such as when CEO Bastian declared “our values are not for sale” when they cut ties with the NRA despite threatened retribution from Georgia’s state legislature. Fourth, Delta used cross-functional career paths and assignments among its executives to build a broad-based understanding of how various parts of the business impact customers and profitability. Joanne Smith was VP Marketing and SVP of In-Flight Services (flight attendants) before being named chief human resources officer (CHRO). Delta President Glen Hauenstein is CRO (chief revenue officer), a position that integrates sales and marketing under one roof. He also leads the company’s community engagement campaign which encourages employee involvement in their local communities. Can Delta’s Techniques Apply to B2B? The Delta example is clearly relevant for other B2C businesses. But what about B2B? Can Delta’s success formula be adapted to classic B2B barriers to customer-centricity? A classic challenge to achieving customer-centricity in B2B is when salespeople strive to close deals at the expense of long-term customer satisfaction. Their performance is measured and rewarded based on short-term results such as new account sales, penetration of existing accounts, and so on. On the one hand, revenue measures are an essential ingredient of every company’s financial health. On the other, B2B sales management often takes a short-term perspective with revenue, and sales funnels and CRM systems often focus on closing deals rather than driving long term customer loyalty and profitability. Another classic B2B barrier to customer-centricity is when marketing generates leads and throws them over the fence to sales. This mentality pretends that more is better, rather than highly qualified leads make life better for salespeople and prospects. It also disconnects marketing from the full buyer’s journey. These and other traditional barriers to B2B customer satisfaction can be addressed by applying some of the lessons learned by highly successful B2C companies such as Delta. As was the case with Delta, the first step for B2B companies is to define the jobs customers want done before and after the sale. What are they trying to do throughout the solution acquisition process, and what jobs need to be done after the sale? This information can then be used to identify which jobs are most important to customers, and what can be done to fully satisfy customers during those moments of truth. Most B2B companies think the salesperson is the most important variable in the customer satisfaction equation. But they usually make this assumption without sufficient proof. So, the first order of business is to identify the jobs that are most important to customers and which employees are most important in satisfying customers. Once a company has a clear picture of the critical jobs their B2B customers need to complete, the company can then define how sales and marketing impact the customer’s experience, both before and after the deal is done. While customers do need to close deals and acquire products and services from their providers, deal closure is not the most important thing to them—not by a long shot. Typically, B2B customers are much more concerned about things like accurately defining their problem or fixing post-purchase problems and getting the job they want done performed flawlessly. Despite the fact that closing deals is not the most important thing to customers, B2B companies continue to measure and reward salespeople on deals, not happy customers. But the tide is slowly turning. The pharmaceutical giant GlaxoSmithKline abandoned traditional sales compensation practices. They now focus on the sales force competencies that are required to drive customer satisfaction, and on customer satisfaction itself. In 2011 GSK became the first pharmaceutical company to remove the link between sales compensation and prescription volume. Instead, salespeople are paid based on personal competencies, customer satisfaction, and company profit. In 2012 the technology consulting firm ThoughtWorks abandoned incentive compensation and placed all their salespeople on straight salary. They continued to grow over 15% per year. The semiconductor company Microchip Technology eliminated their sales commissions in the 1990’s. The result was higher sales growth, a level cost of sales, and lower sales force attrition. And, the company out-performed the NASDAQ over the past five years by 20 percentage points. All too often, B2B sales and marketing functions operate as independent silos. When things work well, they collaborate. Too often, however, they are engaged in blame games. The classic example is marketing generates leads and throws them over the fence to sales. Sales claims the leads have low conversion rates, and marketers claims sales fails to handle the leads properly. The chief revenue officer (CRO) role is uniquely structured to convert typical B2B marketing-versus-sales debates into opportunities for improvement. While the CRO role is now embraced in numerous B2C companies (e.g., Delta, Pandora, Town & Country, Golden State Warriors), few B2B companies have embraced the concept. Much of this lack of uptake is due to a limited history of cross-fertilization between B2B marketing and sales executives. Hence, the internal and external labor market contains a limited number of candidates. B2B companies can promote a CSO or CMO into the CRO position and hope they make a quick study of how to integrate the two functions. But it may be better to first lay the groundwork for such a move by assigning your CSO to manage your web channel or assigning your CMO to one of your largest key accounts. Smaller cross-fertilization assignments are also possible. You could assign the CMO to lead a new account development effort or assign the CSO to conduct a strategic review of a key digital channel. 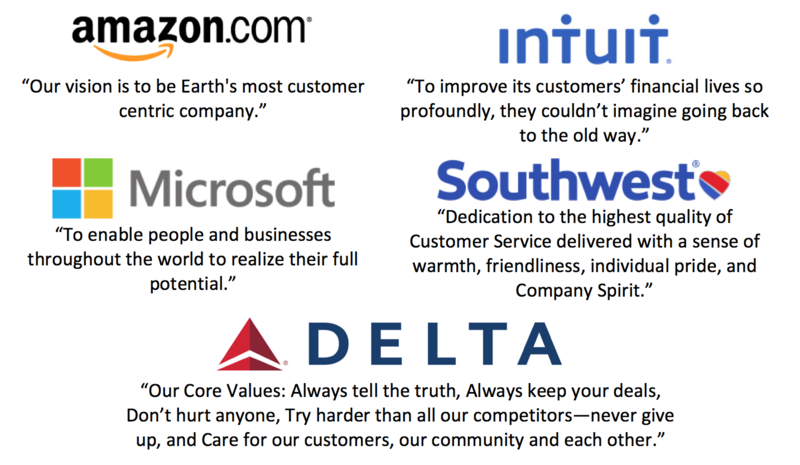 Delta’s amazing success over the past four years makes them the poster child for customer-centricity. While they have done many things right, such as expand their global footprint, customer-centricity probably made the biggest contribution to their success. B2B companies can also benefit from making leaps in customer-centricity. We recommend they apply a few pages from the Delta playbook. As has been the case for decades, many sales and marketing innovations started in B2C and eventually migrated over to B2B. It is now time to apply proven B2C customer-centricity innovations to B2B.